Ladda hem demo.Play Kane & Lynch 2, a raw and brutal crime shooter that redefines the way you experience gaming, delivering an unmatched sense of realism and intensity. Demo includes relentless action in single player and online multiplayer. 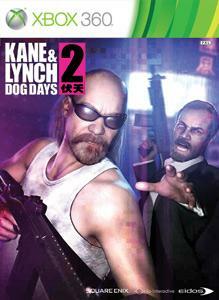 Play as psychopath Lynch, wanted by the entire underworld and on the run in the backstreets and rooftops of Shanghai. And play Fragile Alliance, the acclaimed multiplayer heist game based on greed, betrayal & revenge, now extended with more risk and more rewards. Get in, steal the loot, and get out in 4 minutes, but trust no one. For 8 players.